2011 Shanghai Masters also known as Shanghai Rolex Masters is recently held in Shanghai city of People's Republic of China from date 10th October to 16th October. This was the Third Edition of the tournament. A number of top player withdrew from the tournaments like Robin Soderling, Richard Gasquet, and Gael Monfils. World No.4 Roger Federer also didn't participated in the tournament, which results in his loss of 1 position in the Ranking. His No.3 position is overtaken by Andy Murray who is the Winner of the Tournament in singles. The Shanghai Masters is a professional tennis tournament, which is played in Shanghai (China) at Qizhong Forest Sports City Arena. It is an Outdoor Hard Court tournament. Started from 2009, the tournament is usually played in the month of October. 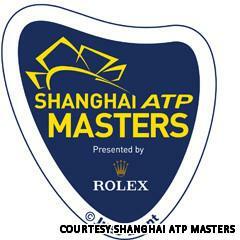 Currently Shanghai is an ATP Tour Tournament and is categorized as ATP World Tour Masters 1000. The total Prize Money of the Tournament is $3,240,000 distributed among the players playing in Singles and Doubles events. Andy Murray won the 2011 Shanghai Masters singles event by defeating David Ferrer in the Finals of the Tournament by 7-5,6-4. He was also the defending Champion of the tournament. Win in this tournament has improved his Singles Ranking by replacing Roger Federer as No.3 in thw world. The pair of Max Mirnyi and Daniel Nestor won the doubles event of the 2011 Shanghai Masters by defeating the pair of Michale Llodra and Nenad Zimonjic by 3-6,6-1,12-10.